“Bracken to the left, bracken to the right amd a fairway rising to the sky”. Henry Cotton judged the first at Southerndown to be one of the most difficult opening holes in golf. Nature has been kind to Southerndown and ´natural´ is the word most often used to describe it. No trees or water hazards, just bracken, gorse, bunkers and wind! 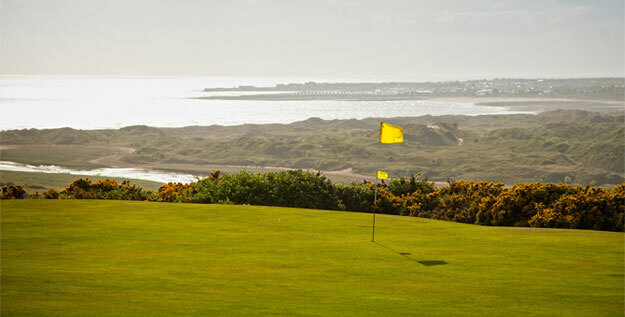 As you stand on the first tee looking across the sea to Porthcawl and the giant sand dunes, which border the Ogmore River valley, imagine the centuries of fierce sand storms which have given Southerndown its downland-links character – its undulating fairways, fine grasses and tight lies. It´s no surprise that the course drains quickly and rarely closes in bad weather. When you turn from admiring the view to face the deceptively wide fairway of the first, remember Henry Cotton´s words and keep an eye on the bracken and the gorse, especially on windy days. 100 years have passed since John Alexander took a group of fellow golfing enthusiasts across Ogmore Down. 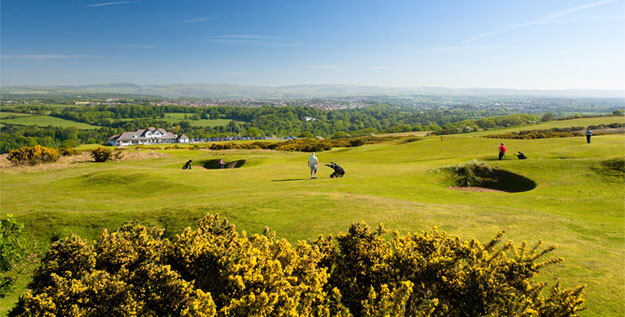 They agreed about the potential of the site and asked architect, Willie Fernie, to lay out a course. 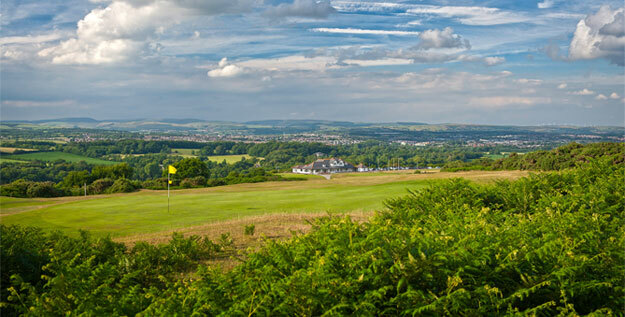 Herbert Fowler, Willie Park and Harry Colt all made significant changes to Southerndown´s design and the course is now rightly acknowledged to be one of the finest championship golf courses in Wales. Among the various attractions of the course are the four Par 3´s, each with its own distinctive character and challenges. Many a card has been ruined by a wayward tee shot landing in a bunker. Harold Gould, Southerndown´s legendary Professional, was once asked, which club to use on the 5th: he answered by giving a demonstration with every club in his bag! Nowhere is club selection more important than on the 7th hole, the longest Par 3. Wind direction can mean the difference between a short iron in favourable conditions and a driver into a strong South-Westerly. Even if you have survived all the Par 3´s, a testing finish still awaits you, with 3 of the last 4 holes played into the prevailing wind. Pars on 16, 17 and 18 are always an achievement and a tee shot over the gorse on to the split-level fairway of the 18th will set you up for an unforgettable finish.